Since I’m only able to satisfy my curiosity and appetite for gourmet meals-on-wheels once a month at Art Walk, I must make a conscious effort not to go overboard at any one truck. After finishing off the lomo saltado at Lomo Arigato, The Astronomer and I sought out Indian street food at India Jones Chow Truck. 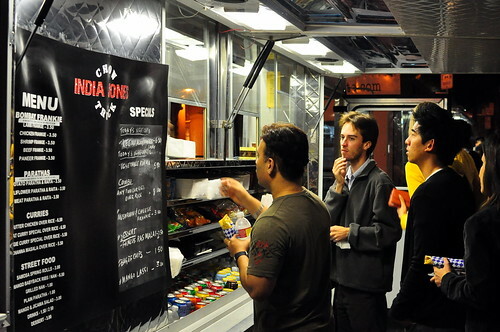 Similar to Border Grill Truck, India Jones was launched by a seasoned restaurant professional. Chef Sumant Pardal hails from a family of restaurateurs in Jaipur, India. He’s opened twelve restaurants in Los Angeles, including Tufaan, Tiger Lily, and East India Grill. The excitement and fervor that Kogi garnered with its brand of Mexican-Korean fusion inspired Chef Pardal to hit the road with India Jones last August. Chef Pardal specializes in Punjabi cuisine and considers butter chicken and lamb biriyani to be his signature dishes. The menu at India Jones features frankies, parathas (Indian flat bread), curries, and a selection of daily specials. Each offering is totally authentic and designed to be easily transportable. The Astronomer and I started off with a mango and jicama salad ($3). 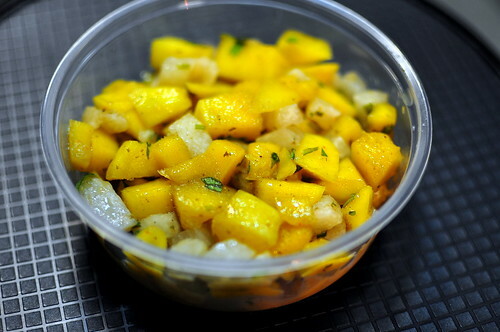 The little plastic container was brimming with cubes of ripened mango and slightly softened jicama. We couldn’t quite put our fingers on what made the vinaigrette sing, but the amalgam of flavors was really superb and refreshing. 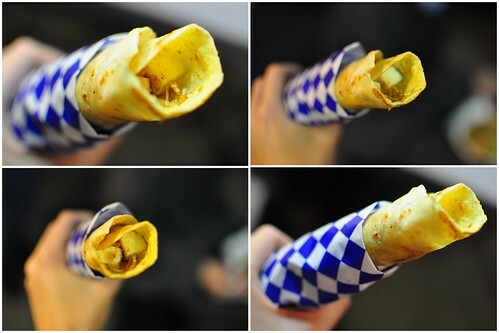 To accompany our lovely salad, we shared a most appealing paneer frankie ($3.50). 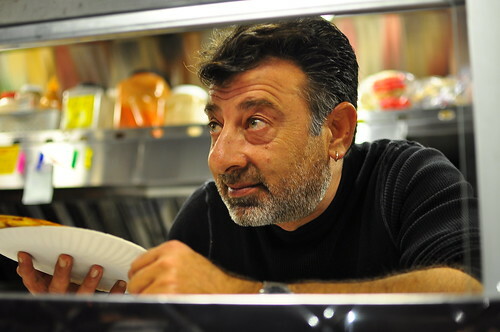 According to Chef Pardal, frankies are a very popular street food in India. The frankies served on board India Jones are wrapped in a warm, crisp, and golden paratha. The Astronomer and I rank paneer toward the top of our list of favorite cheeses, and the plentiful cubes in our frankie did not disappoint. I can see why these skinny Indian burritos have become India Jones’ best-sellers. Simply delightful! 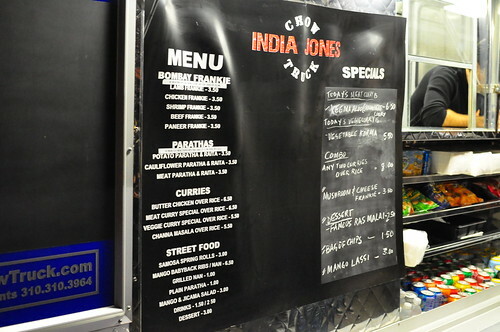 Follow India Jones Chow Truck on Twitter @indiajonesct. LOVE paneer! And though we’re proud of our trailer food scene here in Austin, I’d say we’re quite a ways off of having an Indian trailer. Sigh. David – I get it and I highly encourage it! That frankie things looks yummy. holy smokes, I’m loving the range and variety of cuisines represented! I’m dreaming of cheesy filled frankies. Ouu power rankings and this one’s on top. I must try this as it has your hpusekeeping seal o approval.